FIGHT to DEATH. 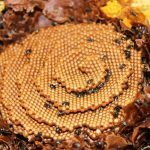 Australian native bees wrestling. Take a look! 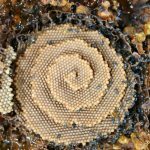 Australian Native Bees fighting to death in a huge swarm. Close ups of the bees are midway through the video. 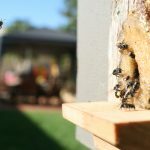 These bees are Australian native and STINGLESS Trigona carbonaria bees from our one of our miniature beehives. The bees seem to be migrating on their own into an empty hive I put nearby. 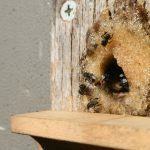 Can they split the colony on their own without beekeepers intervention, hive inspection or a physical hive split? 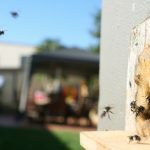 The bees appear to be migrating to the new hive for a few days now, but will they prevail? Interesting behavior.